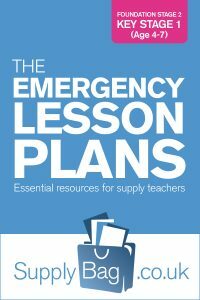 These emergency lesson plans for Year 1 numeracy are only to be used by supply teachers who are faced with no planning or easily accessible resources. paper and get them to investigate what makes ten. Students to use fingers to work out number bonds to ten. Students write sums for someone else using knowledge of number bonds to ten. of paper in the correct order. Give students a whiteboard and pen and get them to write a number between 1-20 on it. Give students a number and ask them to tell you 1 more/less or 10 more/less. heavier than, lighter than, longer than, smaller than.